The other day i saw a blogger (sorry, i could not recalled which blogger) recommend this Japanese drama 深夜食堂 (like to listen their song too) and the story was taken from 深夜食堂comic books. I was quickly watched it using smartphone, and i especially like to watch when they sharing Japanese simple cooking recipe at the end of every show. I learnt this Chicken Karaage from this drama.. 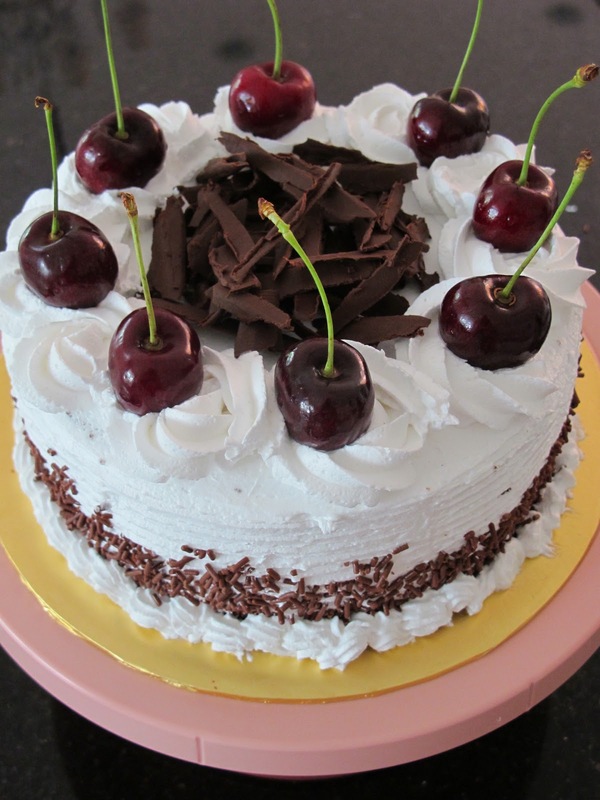 I would said Black Forest cake is an old fashion and classic Birthday cake. When we were young, usually we had Black Forest cake for Birthday. I made three Black Forest cakes in a row on last week, made for my niece and nephew who all Birthday falls in the same week and same month..I realized that most of my family members' Birthday is falls in month of August....Nowadays, i try to make Birthday cake for my family members.. 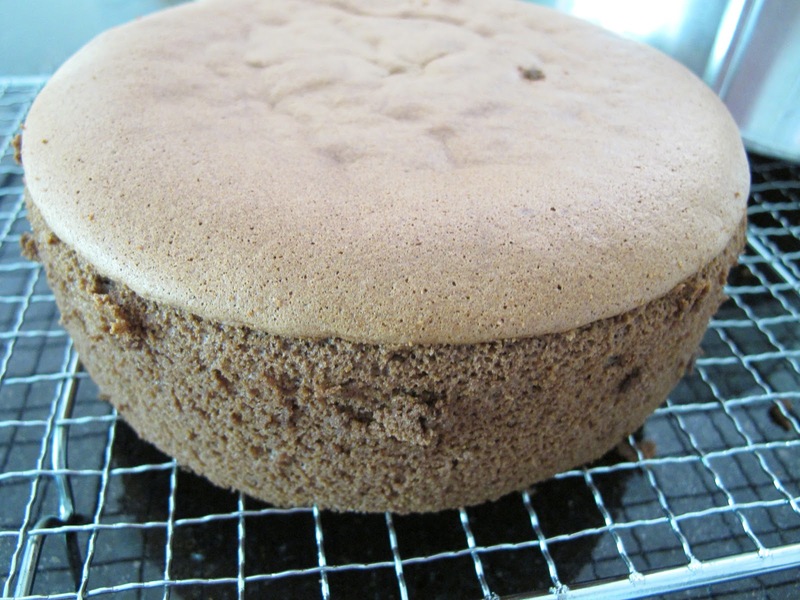 I was so happy finally found a good sponge cake base that can be use as a cake base for Birthday cake. 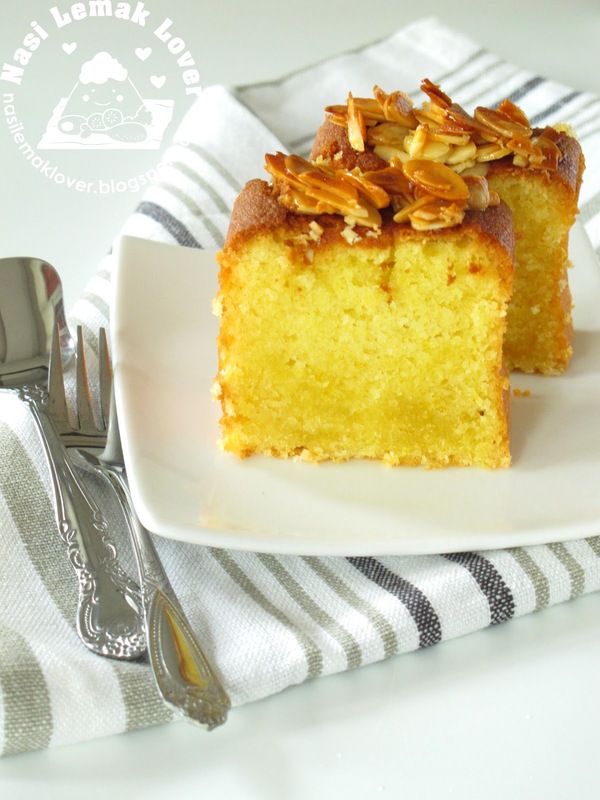 This recipe is even more easier to make if compare to the earlier sponge cake recipe that i used. And the tip that i learnt from this recipe is to make sure you beat egg white till stiff peaks (十分发 / 硬性发泡) since we use a normal cake tin without tube/insert like chiffon cake tin. Also make sure you do not use a cake tin that is non-stick. 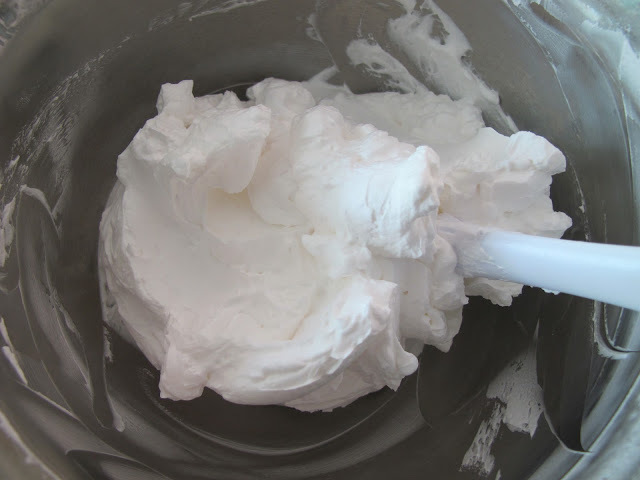 This is how i made the whipped cream using non-dairy whipping cream 植物性奶油. 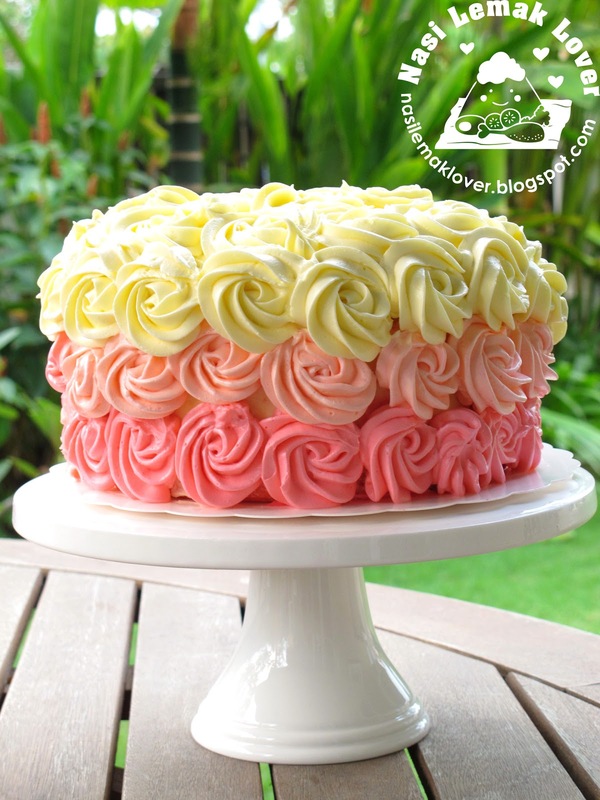 Whipped cream made from non-dairy whipping cream is suitable to make frosting for Birthday cake using sponge cake base (light and spongy cake) and that need to store inside the fridge. 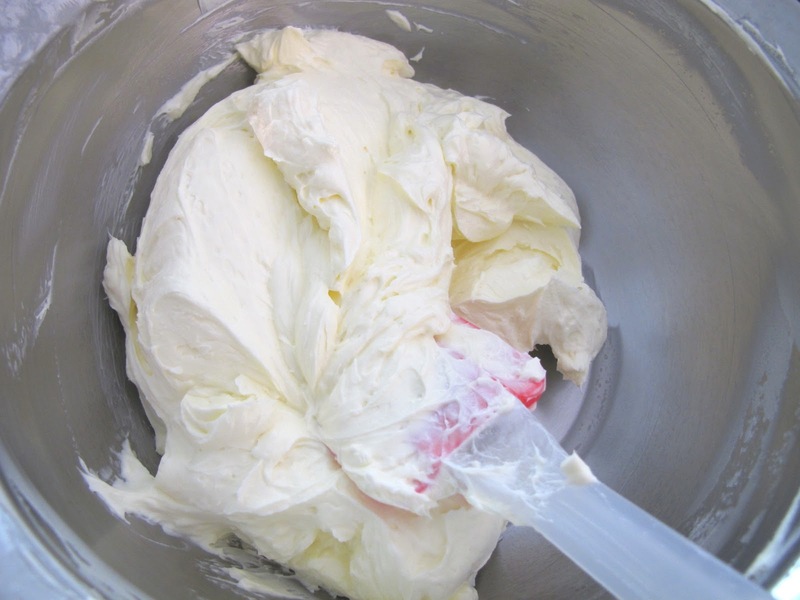 This cream will not turn hard after storing inside the fridge unlike buttercream. 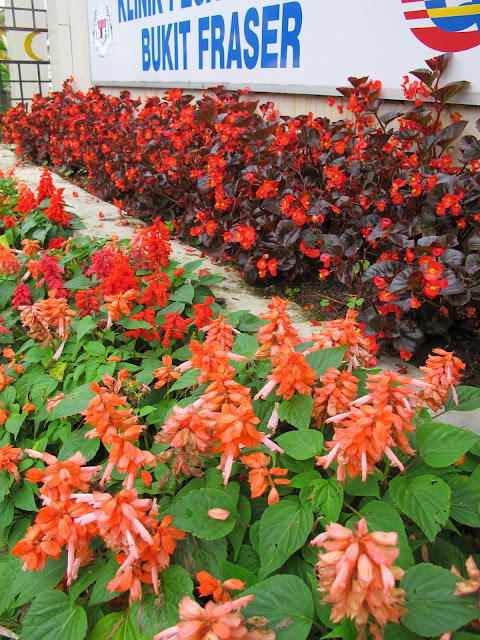 I could not remembered how long my last visit to Fraser's Hill , i think easily 15 years ago. Since my children never been there before, so I brought them to visit this place during last week Raya and school holidays.Also try to escape from the hot and humid weather at my place to this slightly cooling place.The journey from my place to Fraser's Hill took us about 2 and 1/2hours..We were welcome by sizzling rain when we reached at top of this hill. 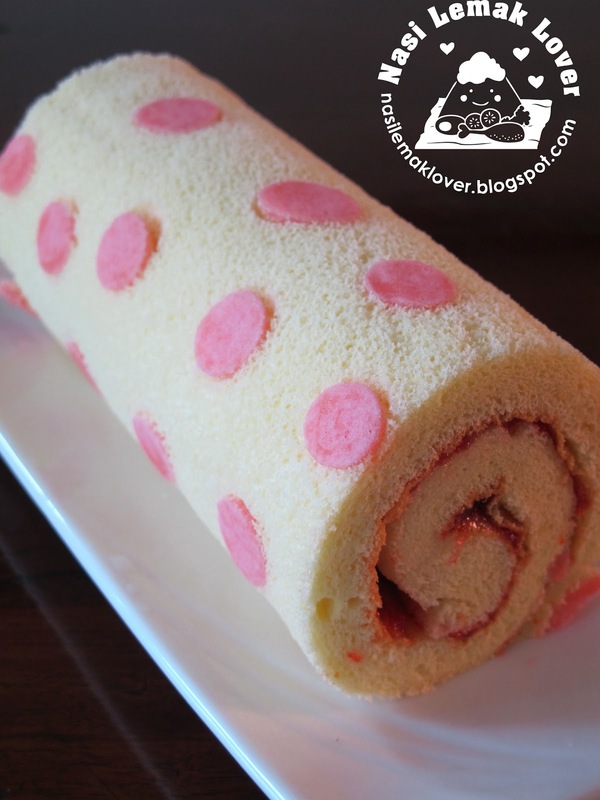 I did swiss roll before but have never try with decorated pattern on swiss roll. Since i bought a decorated swiss roll cookbook ( 彩绘蛋糕卷 ) from the Book Fair recently .So i quickly try my 1st decorated swiss roll with the most basic pattern, polka dot. Last weekend, I went to a Chinese Book Fair in KL in order to meet up with bloggers 鲸鱼老师 and Spdong. 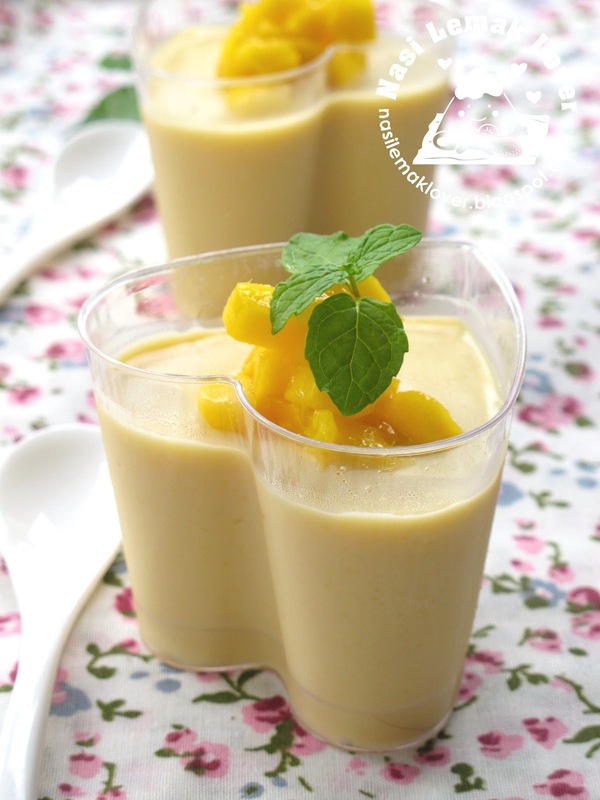 ﻿This mango pudding recipe is adapted from a dessert cookbook that i bought from this book fair. The other day my daughter requsted me to make Roti Jala, reminded me i have so long did not make this at home, see my very old post here﻿. 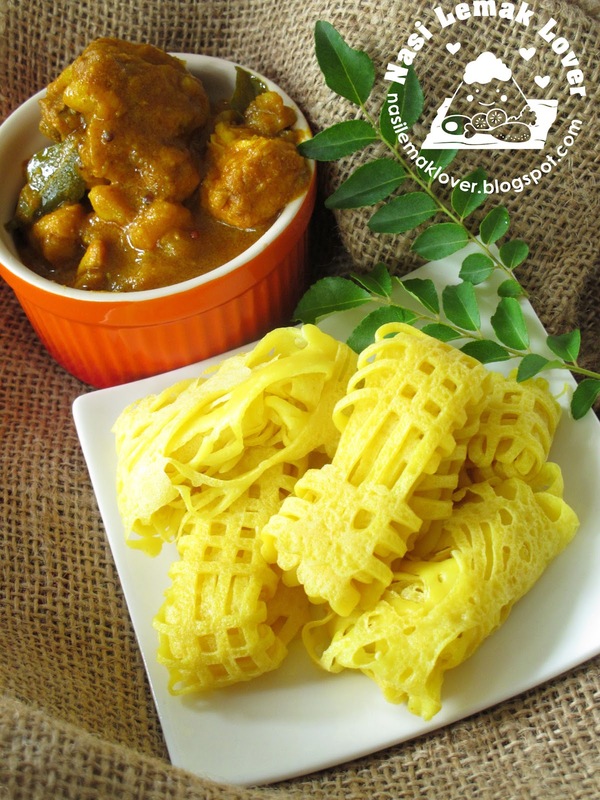 This time i tried using the Japanese mayo bottle that i won from Love2Cook's giveaway last year..And it create very nice Roti Jala and look exactly like net (jala in Malay). Also i turned her stir-fried chicken masala into chicken masala curry. We love this curry so much, especially my little son Desmond said this curry very spicy but very yummy 又辣又好吃 ( He keep saying hot while eating this curry but his hand non-stop taking chicken,hehehe)..
Today I just collected Lucas' IC (He is 12th now) and also celebrating my daughter's 15th years Birthday. Two of them considered adults now and i can no more save some money from entrance fee, ticket fee & etc, aiyah.. The other day i asked my daughter what type of Birthday cake she wants, she said chocolate cake. But I beg her for this cake because i wanted to make this cake for longer time. She said this cake look sweet and lovely but she said a lot of colouring ler, and i told her this is only once in a year and we just eating a small piece, it is ok lar, we will not die one, hahahaha..
After few experiments, i have came out with this Swiss Meringue Buttercream that can withstand in our hot and humid weather, also don't need to care much of the room temperature or need a thermometer. 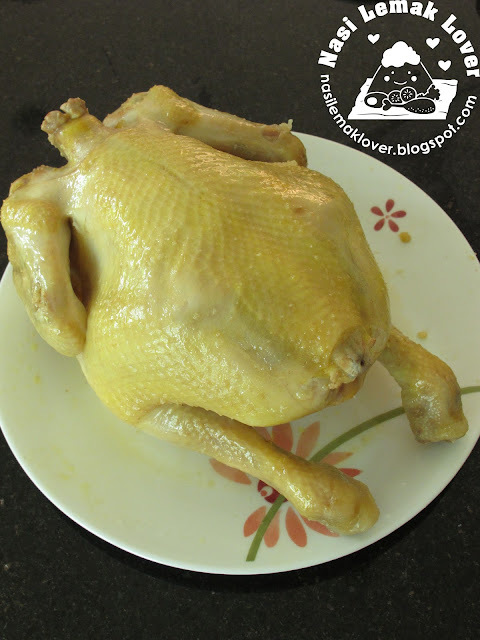 This recipe work for me very well, and I hope it works for you too. 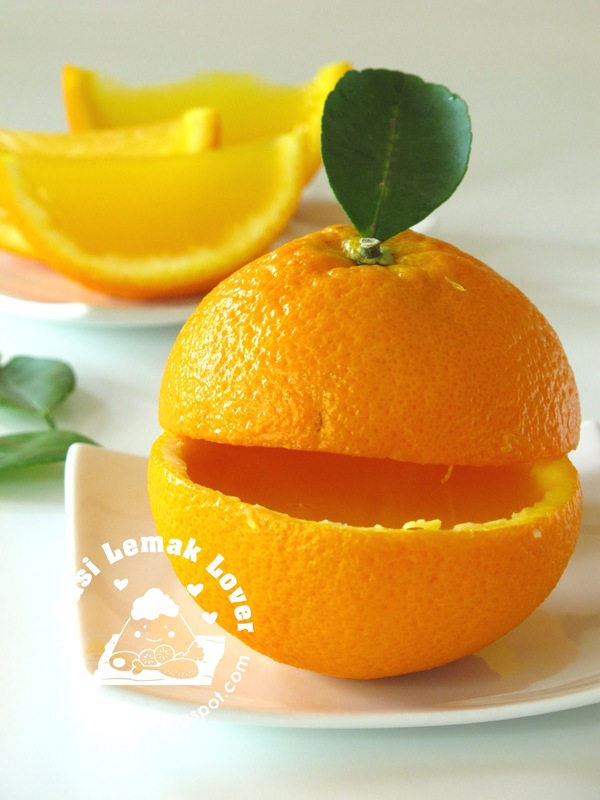 Orange Agar-Agar Jelly, so refreshing! These few weeks weather here is so hot and ﻿humid, "tak boleh tahan" the heat..We need a lot of cool drinks and cool jelly to cool us down.. 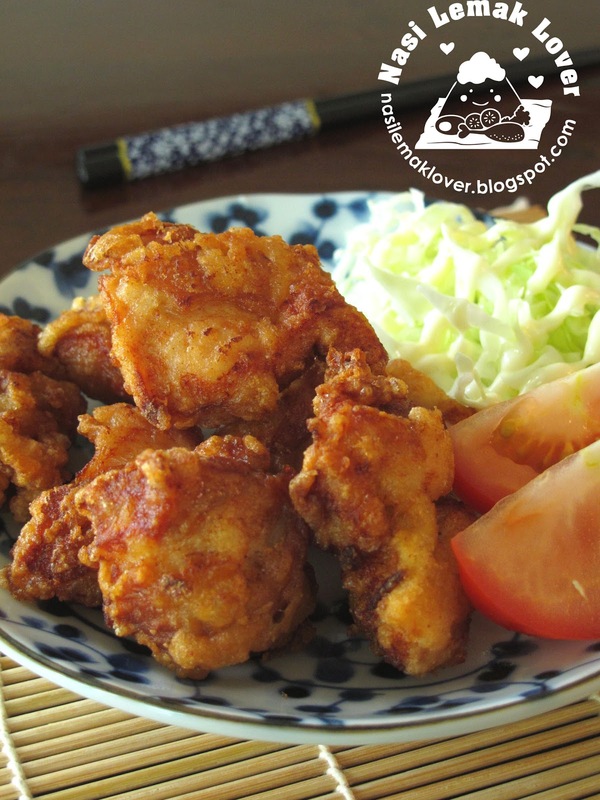 When i saw this recipe in Rachel aka 温馨小厨 blog, i immediately make it! My children love this jelly very much...I should have make more.. 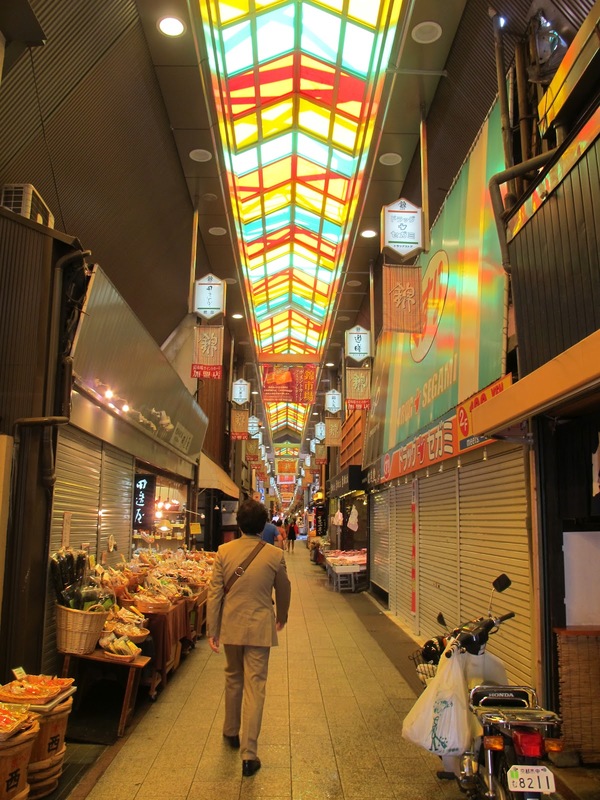 I like to visit local market when ﻿I travel to a foreign country. Nishiki market in Kyoto is one of market that you should not missed if you visit to Kyoto.. 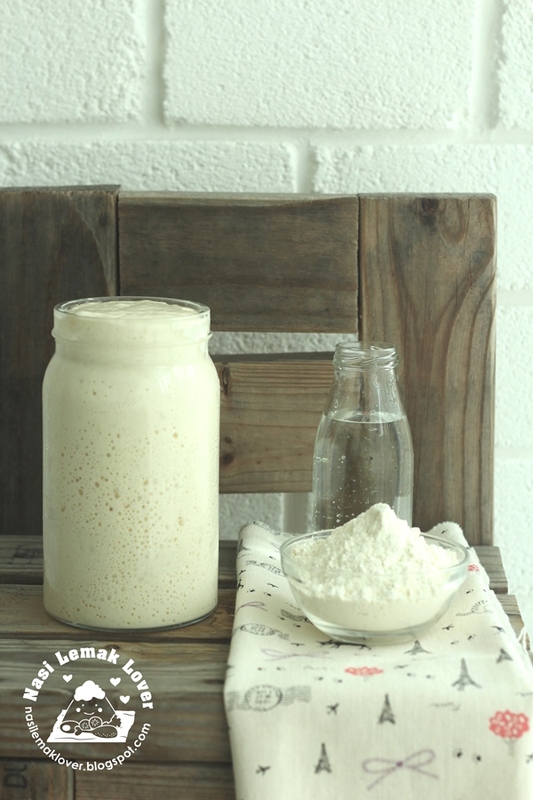 While i reading the homemade cincaluk posted by ﻿Yummylittlecooks, remind me a bottle of cincaluk (preserved shrimps) bought from last Melaka trip still sitting in the fridge. 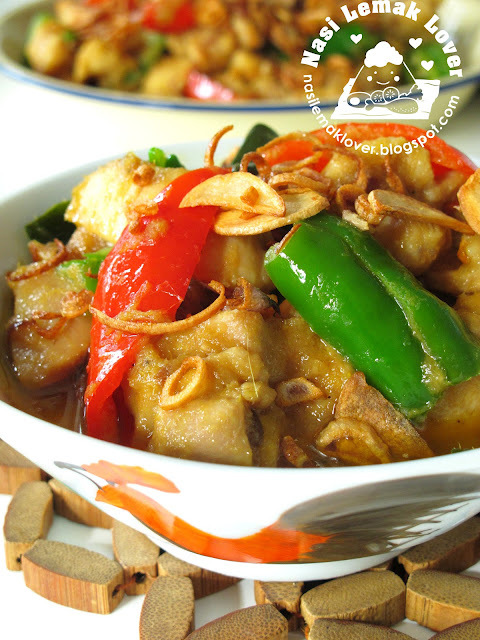 I was inspired by her and quickly google for some recipes to use this cincaluk, and also same time i can support to Wendy's event Malaysian Food Fest as this month is to cook a dish that related to Melaka and also support to Muhibbah Malaysian Monday. Last weekend i brought this cake balik kampung (go back hometown), because my mother is a big fan of butter cake..At first, i tried with a small slim loaf pan for my family, my husband finished almost half of the loaf, he said the Honey almond crust is a winning point for this cake, so fragrant and sweet. 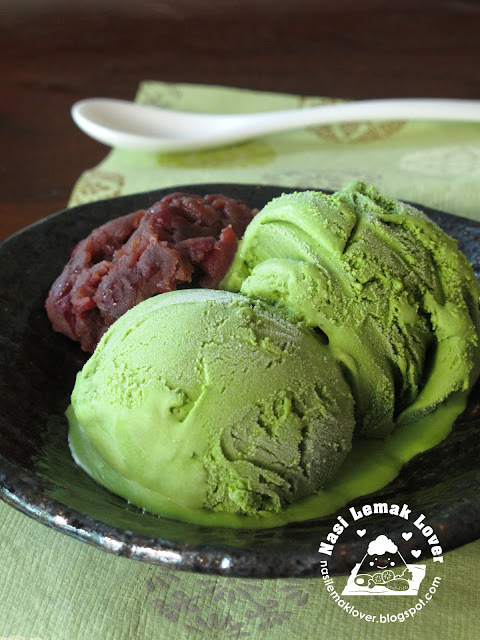 I have never thought of getting an ice cream maker until i saw many bloggers sharing their lovely ice cream recipes. Also I feel this is the right timing to own one, since my kids are still young, and they love ice cream very much (when kids have grown up, no demand then how to make right?). After I failed to get a lovely pink ice cream maker (Cxxxx brand)﻿ , I have no choice just bought an ordinary Kxxx brand ice cream maker..The first recipe i tried out was this Matcha ice cream which is my family's favourite ice cream.